We are offering huge range of Switch Fuses for our consumers so they purchase International Quality Fuses with economical prices. We are leading Fuse dealers in India. Our fuses are tested on each step of manufacturing. With our rich industry experience, we have established ourselves to offer a wide array of Motor Protection Fuses to our valued clients. These are suitable for both Direction-line motor starting application and in conjunction with contractors for star/Delta motor starting. These fuses offer protection for the motor circuit from inadmissible high over current and in the case of short circuit, isolation takes place at the fastest give time. 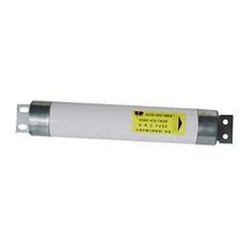 The fuses are designed to withstand surges due to frequent Starting of the motors.